click here to sign up for our free newsletter and let us know you want to support Refugees Welcome Milton Keynes. We work with MK Council and the local branch of the British Red Cross (BRC), and now have partner organisations Talk English and Sanctuary Hosting as described below and on our Partners Page. The Council provides the funds from monies allocated for the purpose by central government and identifies accommodation from the local private housing sector. The Council also provides school places where the capacity is available. The BRC provide the day–to–day support for the families including language learning, interpreting and transport needs. We at RWMK contribute local community support. 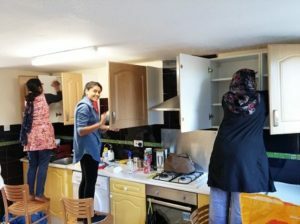 We help refugee families furnish their houses, buy equipment and materials, provide modest grants, encourage integration and do public relations work to highlight the needs of refugees and asylum seekers. 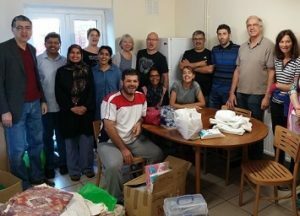 British Red Cross is working with MK Council, RWMK and civil society to co-ordinate support for Syrian families arriving through the vulnerable persons resettlement scheme (SVPRS). Those coming to resettle in MK through the scheme will be supported to rebuild their lives, after years of conflict and devastation. Talk English seeks volunteers to teach learners on Talk English Courses and help people to improve their speaking, listening, reading and writing skills; Sanctuary Hosting matches homeless asylum seekers, refugees and vulnerable migrants to people in the community with spare rooms and open hearts, to stay with them rent free. Be sure to double-check late-breaking partner event information on our Partners Page and Events Page. Want to offer support via the Red Cross? Fresh volunteer vacancies! Click [Search] at the bottom. 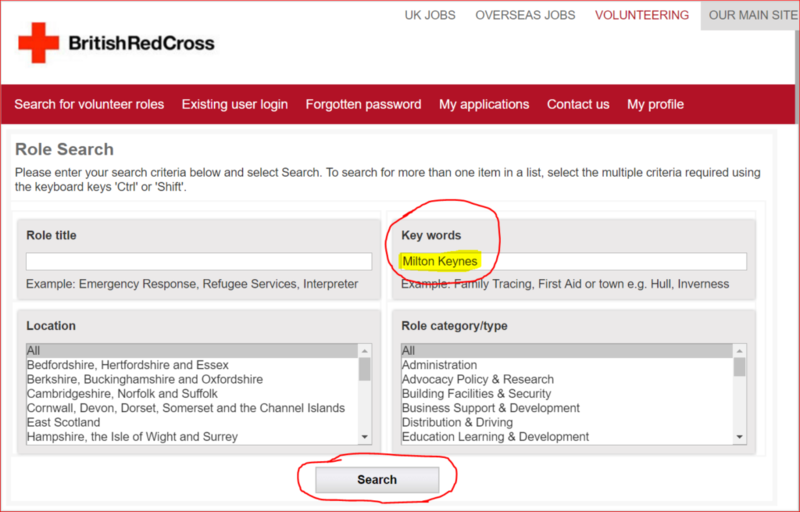 The relevant vacancies will then be displayed, (with headings such as ‘Refugee Support Project (ESOL) Volunteer – Milton Keynes’, ‘Transport Support Volunteer’, ‘Refugee Support Interpreter Volunteer – Arabic’, ‘Emergency Response Volunteer’, etc). Clicking on each one on the new page will bring up full role details as well as an [Apply online] button at the bottom of each vacancy description.